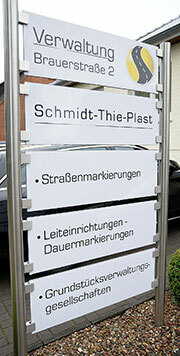 Since 1973, the company Schmidt-Thie-Plast has been a competent and reliable partner for all road marking works. We are the only company in this industry in Germany to be pre-qualified and registered in accordance with the Official Contracting Terms for the Award of Public Works Contracts (PQ-VOB) under No. 010.005310 in Berlin. 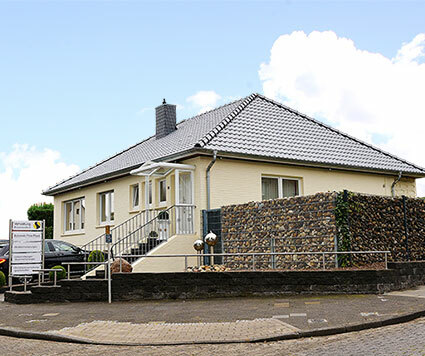 With our administration office located in Lohne, our head office in Wallenhorst as well as further bases in various federal states we are always close to our customers. With road markings as the mainstay of the company, we operate Germany-wide. Our second area of activity encompasses the performance of logistics markings for logistics halls, for example for food producing company groups and logistics hauliers - not only in Germany but also Europe-wide in Spain, France, Sweden, Norway and Denmark.